CHILD AND ADOLESCENT INTEGRATIVE COUNSELLOR / PSYCHOTHERAPIST. I am an experienced and fully qualified therapeutic counsellor for children and adolescents aged 5-16 years, and provide therapy in a confidential and safe setting. I believe that every child and young person is unique, and just as adults can, they may encounter difficult or challenging times in their lives. Talking to a child/adolescent counsellor can create a safe space for them to be understood and provide relief from overwhelming feelings. By using an integrative, gentle and often non-directive approach, I have found that a wide range of behavioural and emotional difficulties can be relieved. Through the therapy process, children and young people can develop their communication skills and confidence levels, as well as learning how to cope with difficult feelings. The benefit of this includes improving your child's relationship with family and friends, whilst enabling them to focus afresh on learning and living a contented childhood. I have worked in both the primary and secondary school settings, where I provided one to one therapy for children and adolescents between the ages of 5 and 16 years. I have experience of working with groups and on a self-referral drop-in basis. I also work privately, offering short and long term counselling. My integrative framework combines different approaches such as psychodynamic, person centred, and attachment based therapy. 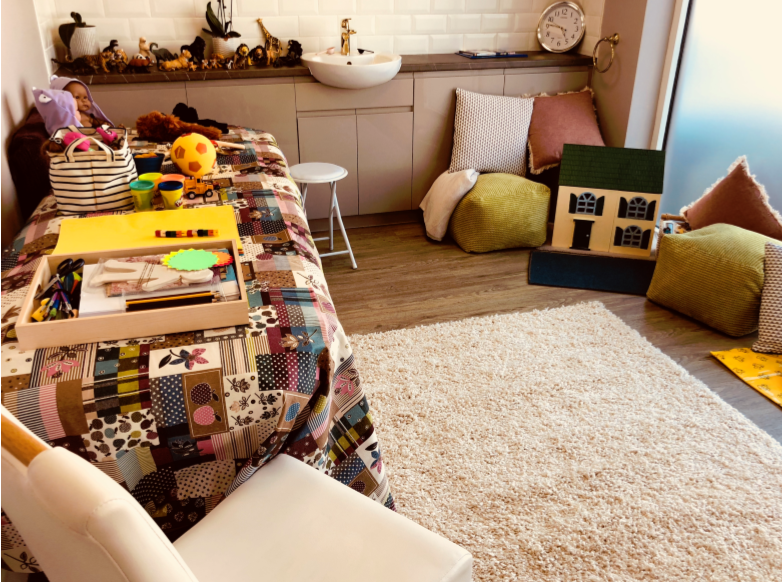 As young children do not usually talk openly about their difficulties, they will often communicate feelings and thoughts through play, the arts and by using the toys provided in the therapy room. Older children and adolescents may also use the arts to explore how they feel or they may like to talk through experiences and any associated feelings. Over time, anxious, hurt, angry or upsetting feelings can be put into words rather than actions. The child or young person can then be helped to make sense of their feelings and experience. 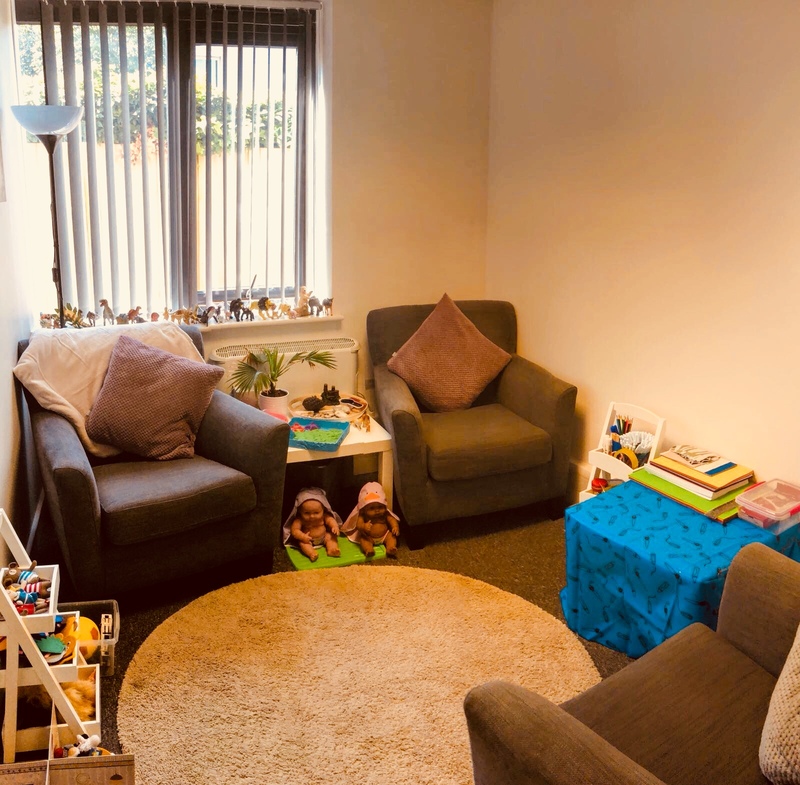 I provide a safe, calm, comfortable, confidential and non-judgemental space for each child and adolescent. The therapeutic process can be short term or long term with each appointment lasting 50 minutes. Therapy sessions take place weekly at the same time each week to help gain the maximum benefit. Level 7 Postgraduate Diploma Counselling Children in Schools. Level 3 Certificate in Counselling Skills for Working with Children. Children and adolescents aged between 5 and 16 years old. 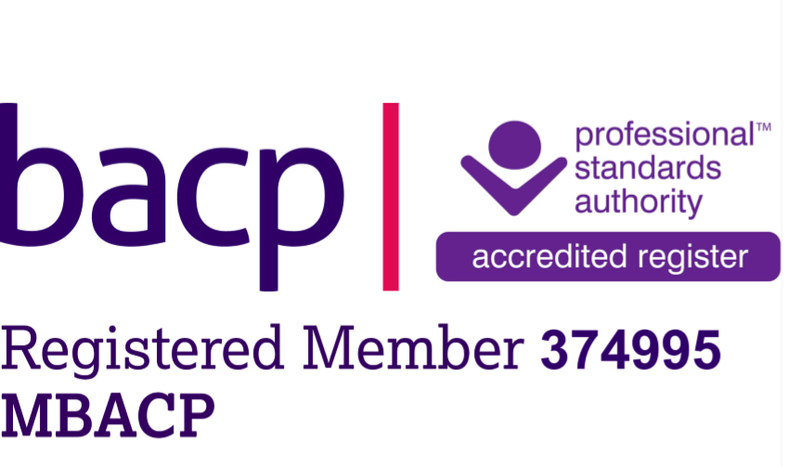 I'm fully insured and a registered member of the BACP and have experience working with clients on various issues affecting their well-being such as: trauma, relationships, abuse, depression, anxiety, phobias, sexuality, panic attacks, anger management, obsessive compulsive behaviour, self-esteem, loss, bereavement, self-harm, ADHD and challenging behaviour. I offer an initial free no obligation meeting for parents/carers to discuss any needs you or your child may have. You will be able to view the therapy room, learn how I work and ask any questions you may have about the counselling process. We will discuss confidentiality and consent, and I will outline the BACP Ethical Framework in which I work. If you would then like to proceed, we will arrange a weekly appointment for your child/adolescent to attend their 50 minute sessions. My fees are £50 per 50 minute session. Concessions available upon discussion. I provide parents/carers an opportunity to discuss further any areas of concern and review progress by means of regular meetings. These will occur every six weeks for 30 minutes. I have practices in both Guildford and Camberley, so please indicate which location is your preference. Please do not hesitate to contact me with your enquiry.